New year, new gameplan. How are you going to get the most miles out of your credit card spending this year? The start of a new year is always a great time to reassess your card strategy. Which cards should you apply for? Which should you cancel? Which should you sock drawer? Anything that doesn’t fall into a bonus spend category and/or is less than $5, or offline FCY spending <$1K per month. Yes, yes, I’m aware that if you don’t already have the BOC Elite Miles card, you might as well wait for the 2020 Card Strategy post because BOC’s back end isn’t exactly Speedy Gonzales. But if you’re one of the lucky cardholders, the 1 Jan reduction in earning rates from 2/5 mpd to 1.5/3 mpd on local/FCY spend shouldn’t deter you from using it. 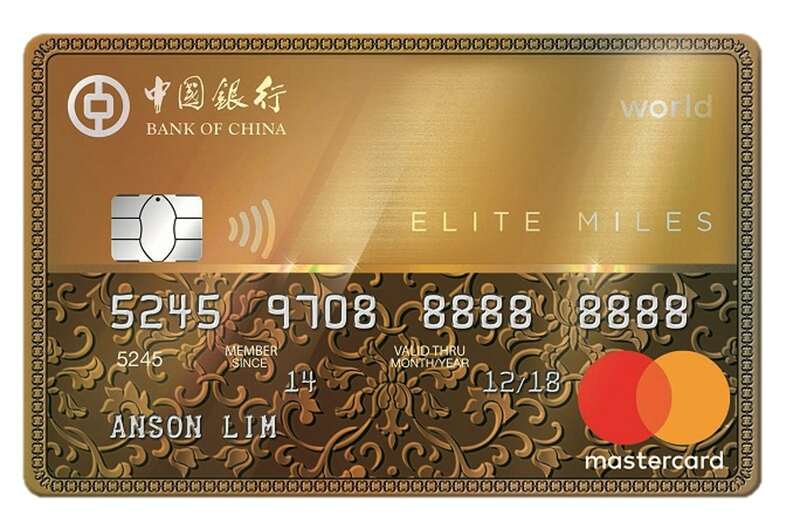 Even at these reduced rates, the BOC Elite Miles World Mastercard is still the best mass market card in the game (cards like the Citi ULTIMA and DBS Insignia offer 1.6 mpd on local spend, but good luck getting your foot in the door). One of the great things about BOC is the way they deal with rounding. First, they award miles based on the exact amount of your transaction, right down to the last cent. That’s to say, a $1.53 transaction would earn 2.295 miles. Second, they don’t round down on the back end. That’s to say, the 2.295 miles remains 2.295 miles, not 2.29 or 2. This really means that every little bit counts with this card. Contrast that to UOB cards, which round down all transactions to the nearest $5 (transaction of $4.99? no points for you!). As a bonus, I’ve linked the BOC Elite Miles World Mastercard to my ABT account. This allows me to earn some incremental miles on public transportation. 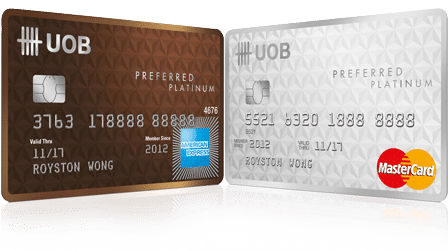 There’s no shame if you find yourself using a Citi Prestige, Citi PremierMiles, DBS Altitude, UOB PRVI Miles, AMEX KrisFlyer Ascend or OCBC VOYAGE card for general spending. All these cards earn in the 1.2-1.4 mpd range, which is perfectly decent. Moreover, the Citibank cards have an advantage in that they offer the widest choice of partner airline programs in Singapore. You could unlock some great value with British Airways Avios or Etihad Guest that way. The UOB PPV is an oldie but goodie. Although it took a bit of a back seat during last year’s crazy Citibank-Apple Pay and OCBC-Mobile Payments promotions, in 2019 I see it playing a vital role in turning general spend into 10X opportunities. My UOB PPV has been paired with my Google Wallet, which allows me to earn 10X points on the first $1,000 (ok, technically $1,110 thanks to the way UOB calculates the cap on 10X) of contactless payments each month. 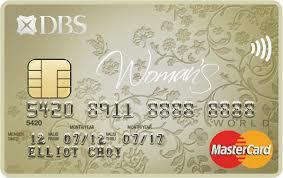 It’s also going to be my go-to card for Mileslife, given that the OCBC Titanium Rewards 6 mpd promotion has ended. You should always be on the lookout for contactless terminals, because those signal an opportunity to turn general spending into a 10X category. 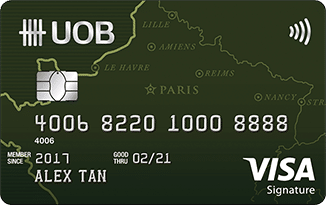 The UOB Visa Signature (see below) is another option for contactless payments, but the problem is you’d need to spend at least $1K in a month on contactless payments and/or petrol to get 10X points. The UOB PPV is superior in this regard, given there is no minimum spend requirement for it to earn 10X on contactless. Any offline FCY spending, assuming >$1K and <$2K for the statement period. You do need to be careful with the UOB Visa Signature given UOB’s very guai lan way of defining overseas spending- it’s not enough for the payment to be in FCY, the payment processing must also be outside of Singapore. This has caught out some consumers who transact on site like Hotels.com, believe they’re paying in FCY and therefore golden, then earning only 1X points because the payment is processed in Singapore. How do you know ex-ante which payments are processed in Singapore? You don’t. Oh, and your statement period may not be the same as calendar month. Be aware of that too, because the $2,000 spending cap on 10X points applies per statement period. The SCB Visa Infinite is an option at 3 mpd if (1) you spend more than $2,000 a month and (2) you’re ok with SCB’s highest-in-the-land 3.5% foreign currency transaction fee. Otherwise, you’re looking at 2.4 mpd with the UOB PRVI Miles or DBS Treasures AMEX card. The first $2,000 of online spending. The equation for this card is as simple as it comes: use it for the first $2,000 of your online spending. I realise that DBS’s recent moves to reclassify what exactly counts as online have created some angst, but in general this is still the right card to use for your Lazada, Amazon, Grab, Qoo10, FavePay etc transactions. It’s also the right card to use to purchase air tickets and hotel bookings, assuming the hotel bookings are fully prepaid online. 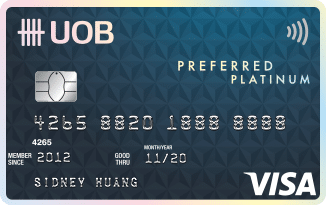 The Citibank Rewards Visa/Mastercard or OCBC Titanium Rewards card would also be suitable for this role, but each has its own unique limitations. You also want to note that how each bank defines online spending will differ. When in doubt, refer to this spreadsheet. The first $12,000 (per membership year) of shopping on clothes, shoes, bags, department stores, baby and child wear, electronics and gadgets. 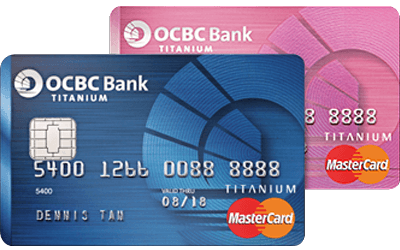 I’m on the record saying that OCBC’s decision to prematurely terminate the 10X promotion on Titanium Rewards and mobile payments was a pretty crappy move, especially given the bank’s big marketing campaign about “staying true”. Nonetheless, I didn’t rage shred my Titanium Rewards card, because in the cold light of day it remains a product with excellent promos. 12 mpd on IKEA and Zalora. 12 mpd on public transport. 8 mpd on Emirates. 6 mpd on Mileslife. These are all fantastic deals, and a reason why the card’s still part of my regular rotation. Those promotions aside, the Titanium Rewards is your year-round go to for offline shopping, crucially including electronics and gadget stores in its 10X categories (which Citibank does not). OCBC has reps on the credit card section of HWZ who do a bang up job in responding to queries on which transactions do and do not earn 10X, so be sure to hit them up with your questions. You can use the Citibank Rewards, but note the difference in category definitions. The first $6,000 of local or overseas dining spend in a year. Yes, I know this is kind of a tease for those of you who don’t have it, but the UOB PPA will remain my leading dining card for 2019. This card, which isn’t issued anymore, offers 10X points on local and overseas dining, with a cap of $6,000 each year that gets reset on 1 January. 1 January is here, which means it’s time to mobilize the PPA for active duty once more. What do you mean you don’t take AMEX? If your restaurant takes contactless payment, the UOB PPV will work just fine for 4 mpd. Otherwise, getting a Maybank Horizon Visa Signature card can make sense for 3.2 mpd with a minimum spend of $300 per month. The OCBC VOYAGE still offers 1.6 mpd on dining, which isn’t groundbreaking, but keep in mind that VOYAGE miles are worth more than KrisFlyer miles. My caution here is that it may not make sense to get a separate dining card unless you spend a lot on dining. This is all the more so if you don’t hold any other Maybank cards, because you’ll end up with difficult to cash out orphan points. You’re obviously going to want to use Mileslife wherever possible to earn bonus miles on your dining. What other cards can you use? I’ve been really enthusiastic about the AMEX Platinum Charge card lately, so you might be surprised that it doesn’t feature above. The reason is quite simple, really: I’ve hit my sign up bonus, and the regular earn rate of 0.78 mpd isn’t all that exciting. That said, I’m still going to keep it in my wallet for the Love Dining program (which by the way is also available to regular and Reserve Platinum cardholders) and the excellent concierge service. And who knows, if we see another Hilton-esque promotion, I just might make it my default card again. You’ll also that I haven’t talked about specific cards for things like groceries. That’s because I’m trying to take a principles-based approach in the sections above, from which you can derive the rule in each situation. For example, I’d use my UOB PPV at NTUC or Sheng Siong for groceries, where contactless payments are offered. Here’s a more specific guide that talks about the best cards to use in each situation. If you’re thinking of applying for some of the cards above (especially the Citibank Rewards, UOB PRVI Miles or AMEX KrisFlyer cobrand cards), you might want to wait until 7 January, because there’s a special campaign coming up. Good miles hunting to everyone in 2019! Happy New Year Aaron! Thank you for the good summary. Happy New Year 2019 to all milelion readers! I did! Thanks to Amex reminding me that I’ve got “up to 1600 bonus KF miles to be earned on RedMart”… ? Does mileslife count as online and earn 10X for UOB PPV? Hi Aaron, Happy New Year. All good strategies that are reassuring I’m on the riot track. I have a question reading this on the UOB PPV card. For the 10x UNI$ per $5 spend, is this $5 counted on a per transaction basis or aggregated and numbered at the end of each billing cycle? I have read the TnCs many times, but it is rather ambiguous. i believe it is per transaction, but i’ve never actually studied the matter closely to be honest. Exactly- uob’s rounding process is a big bugbear. Hi Aaron, Does UOB PPV earn 10X for overseas contactless payment? Hee hee you said guai lan. Heya why does the BOC EM card have a limit of <$1000 for offline FCY spending? I kinda though they didn't mind as long as its in FCY irregardless of offline / online. It doesn’t. Because if your offline FCY spending doesn’t exceed $1k in a month, you should use BOC. If it exceeds $1k then you should be using VS.
“As a bonus, I’ve linked the BOC Elite Miles World Mastercard to my ABT account. This allows me to earn some incremental miles on public transportation.” is this a limited time promo? With the oncoming incremental devaluation of KrisFlyer miles would that make Ocbc voyage$ more attractive in comparison? We are waiting for the special campaigns! Do we know when will this be out? I think I have a record here – applied for BoC card once word got and and approval notice was dated – Dec 28th. Goes directly into drawer without activation. As far as FCY spend – after all banks jacked FCY fees to 3% I will start using my Chase Sapphire card again as I did my last holiday in South Africa, unless there are/is 4mpd offer for foreign spend. Anything less – does not worth for me. For the DBS WWMC, I just saw the HWZ excel sheet list Grab/GrabPay as not eligible for 10x DBS points. Any word on this? i dunno. i got 10X for grab/grabpay in dec.
For UOB PPV, the 10x bonus for online spending in Supermarket/Food Delivery category, does it include Redmart, Opentaste, etc? How do we find out the Merchand Codes of the merchant? Hi Aaron, I just applied UOB Priv Miles for 6 mpd on major airlines booking and hotels. I was told to get another uob card that gives 4 mpd on general spending and 10mpd overseas spending. As these two cards will be accumulated under the same uob points/miles. I wonder which card is the 4mpd/10mpd from uob. My intention is to collect more miles this year! Kindly advice. Do we earn 10X or 4 miles when paying Singtel bill (website) by UOB PPV?